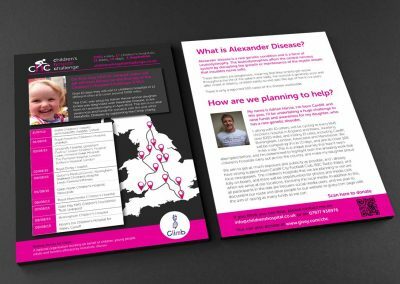 On July 31st, 2015 10 riders covered over 1000 miles, visiting 17 NHS children’s hospitals in 13 cities including Birmingham, London, Liverpool and Newcastle to raise awareness and funds for research into Alexander Disease, a rare form of Leukodystrophy. 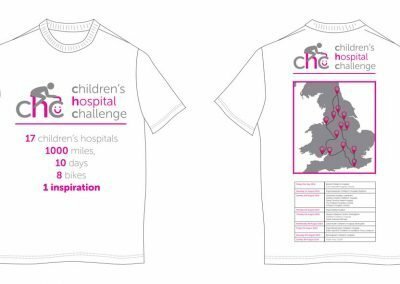 The Children’s Hospital Challenge was setup by Adrian Harvie, whose daughter Emilia was diagnosed with Alexander Disease in April 2014. 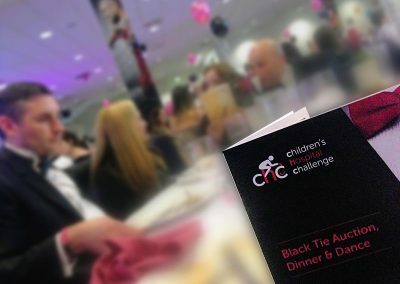 Yellow Cat Design were more than happy to support the cause by creating an identity, designing and building the website (no longer active) and designing supporting materials such as menus, flyers and posters. 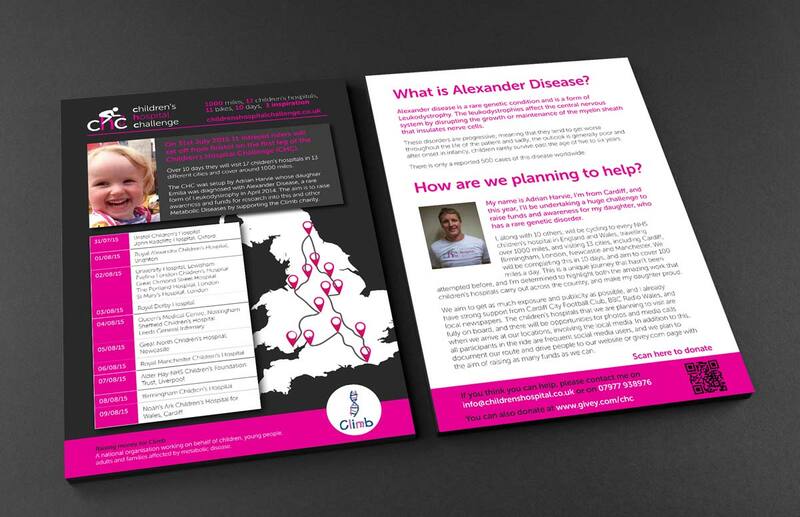 A5 flyer showing the route and background information. T-shirt design that was worn by support team during the ride. YCD also helped with branding for the CHC fundraising events to ensure consistency.